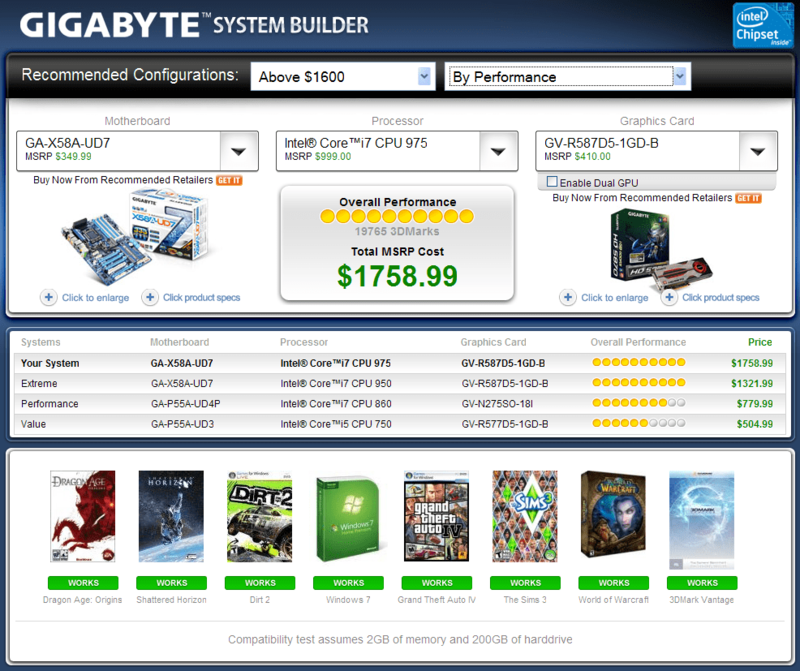 If you’re a fan of building your own PC system, or want to give it a try but aren’t sure where to begin, then have a look at the Gigabyte System Builder put together by FutureMark. It only works with Gigabyte mainboards and video cards, and Intel CPUs (Core2Duo and i5/i7) but it’s a neat way to explore different configurations and get an estimated price via the manufacturer’s RRP. It even gives you a list of games that it works with. [Via SlashGear].